Just popping in for a minute to share a recipe that’s been a long time coming. I actually can’t believe I haven’t shared it with you yet! It’s been my favorite scone recipe for about 10 years now. And I know I’ve promised to post it several times recently, so here it is! I like it because it’s fairly healthy. There isn’t a ton of butter or sugar, and greek yogurt adds some protein. In a bowl, combine the flour, sugar, baking powder and baking soda. Add the butter and use a pastry blender, or two knives, to cut in until it resembles small peas. Dump the dough onto a work surface and “knead” 3-4 times. Cut into 12 wedges and transfer to a baking sheet. Sprinkle the tops with a pinch of sugar and bake 12-14 minutes. -If you use all white whole wheat flour, you might need to add an extra dollop of yogurt or a splash of milk because it absorbs more liquid than AP flour. I’ve found 1/2 and 1/2 works best. One thing to note about these scones is the dough. It will be SUPER crumbly when you dump it out on to the workspace. And it will be sticky! That’s ok. Just do your best to “knead” it a few times and then after you press it into a circle and cut it, use your fingers to kind of smoosh the crumbly edges together on each wedge. And don’t worry if there’s a little extra flour in your bowl that doesn’t get used! PS…after having my Nikon for 4 years, I finally learned how to change the settings in manual mode! SO, bear with me while I practice and learn 🙂 PPS. Don’t forget to check out this week’s Tuesday Trainer. This week’s theme is Animal-Inspired moves and I did the crocodile walk! 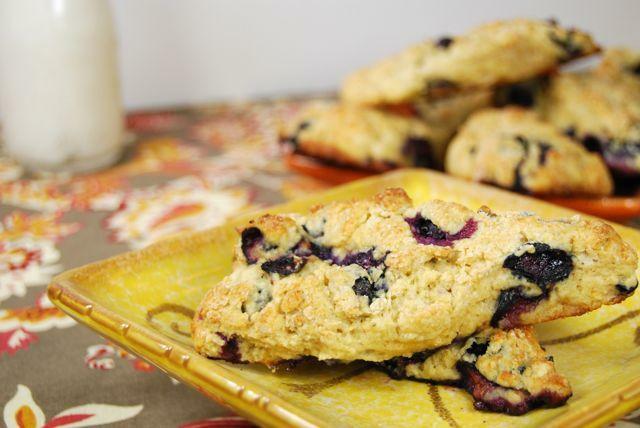 I love me some blueberry scones… or craisin scones… or raspberry scones (those are my fave). Yum! hand me some thru the screen will ya. I’m sure to pin this one! mmm. mmm. These look amazing!!! Do you like them better with the lemon or vanilla chobani? These looks great! I wish I had blueberries on hand to make them…only strawberries. these look great! i have only made my own scones once before, but i think i could handle this recipe! 🙂 pinning to my “to-bake” board! 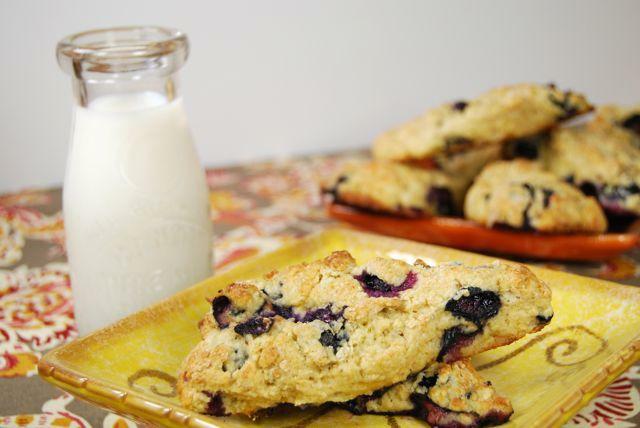 I made scones with yogurt once – I used vanilla yogurt and chocolate chunks with dried cherries. Yogurt is a great substitute for buttermilk! Great recipe – I love scones! I love scones but have never tried to make them at home. You make it look so easy! I can see these becoming a breakfast favorite pretty quickly too! I have never made a scone but I am going to bookmark these and give them a try! thanks for the recipe! I love scones! I’m saving this one to try out. Thanks! I LOVE this idea! There are so few ingredients, which is always a plus in my book!! Thanks for sharing! these look SO good! i like that they look fairly easy to make too. scones have always intimidated me, but this recipe doesn’t look too scary. 😉 my husband loves scones, so i think i’ll have to try this out! if i can handle these you can too! I am making these!! They look super good! Yum! The lemon blueberry version sounds perfect for spring! So ready for it to get here already! yep! i’m loving the lemon blueberry combo! if i start walking now, i could be at your door for breakfast in a year. so save me one! hehe. Look wonderful! i’ll make you a fresh batch when you get here! omg yes! you must try! Yum! I love that you added yogurt to these…fantastic! YUM! Need one of these to go with this cup of afternoon coffee!! Cool idea to use a flavored yogurt to make these! I bet the pomegranate flavor would be good as well. 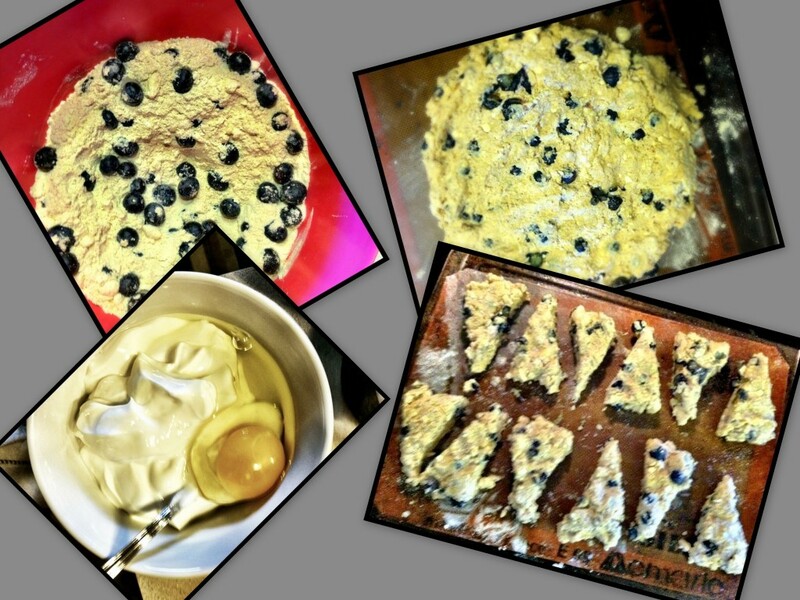 I love blueberry scones! I’ve never made my own from scratch though. I need a baking project that doesn’t involve cupcakes so I think I may need to give this a whirl! I loooove blueberry and lemon together. Thanks for the recipe. And I’ve got to go check out this crocodile walk now. Haha, I’ve never heard of it! YES! I’ve been waiting for this recipe! Woohoo! Looks delish! Can’t wait to try it out! well don’t THOSE look DELICIOUS! nomz. These look great! Do you know what I could possibly replace the yogurt with? I’m a fan of blueberries and scones so this is perfect! I love that they are healthy, too. 🙂 They look delicious! 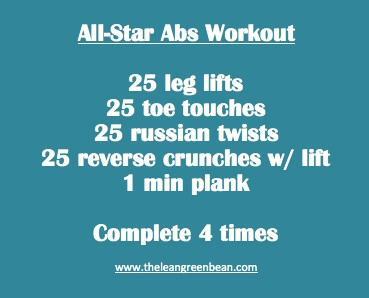 great idea to use lemon greek yogurt! Ooh, I’ve got some leftover blueberries just dying to be used for this! Better run out and get some yogurt, ASAP! how do you think almond flour will work? i’m not sure. i don’t have much experience with it. maybe you could try half almond/half something else. if you’re gluten free, maybe oat flour? one more question…… 🙂 Do you knead it with the blueberries in it? They don’t get all smooshed? Thanks! I just made these and they are delicious but mine are a bit cakey inside. Not crumbly once they were cooked. Do you know how I can make them more crumbly once baked? Great recipe! After a tea and cake palooza with the kiddos last night (London Olympics opening ceremonies), we were craving scones this morning! Tried your recipe and they came out great. So we did a peach version too! i don’t! but i think livestrong has a free recipe calculator where you can put in all the info and it gives you the nutrition info! awesome! i’m so glad you enjoyed them! that combo sounds delish! Can i substitute the sugar with maple syrup? Can i use less butter? i don’t think you could use maple syrup in this recipe. the dough is already pretty wet and that might make it too wet to work with. You could try with less butter but i already cut back a lot so i’m not sure how it would turn out. [WORDPRESS HASHCASH] The comment’s actual post text did not contain your blog url (https://www.theleangreenbean.com/healthy-blueberry-scones) and so is spam.